I’ve been a ceremony officiant at this wedding venue, and I can definitely recommend it. If you ask them I’m sure they can recommend me to be your wedding minister. Give me a call. With a terrace overlooking the golf course with stunning views and a wedding banquet room, La Mirada Golf Course is the ideal wedding location. 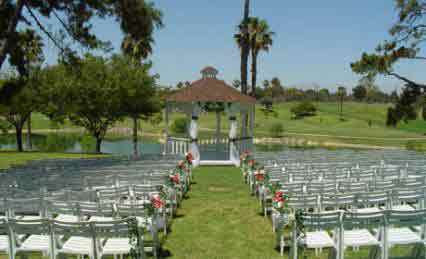 It has a wedding gazebo perfect for outdoor wedding ceremonies. It is also a great wedding reception site. 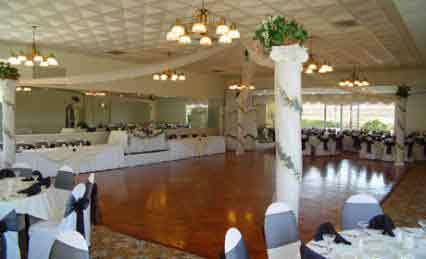 The banquet room features a large dance floor and can host up to 400. Imagine your reception surrounded by a beautifully manicured landscape, inside an elegant room. The staff will assist you with your wedding planning. They will put you at ease to ensure your day is unforgettable. Their catering experts will provide suggestions and options to ensure your event is unique and exactly what you envisioned it to be. If you are thinking of having your wedding ceremony or reception at La Mirada Golf Course or anywhere in Los Angeles County or Orange County California then consider having this ceremony officiant, the Officiant Guy be your wedding officiant.